There's been plenty of debates about whether or not the Wii U is truly “next-gen” and debates about whether or not resolution and frame-rate actually matter. In a very strange bit of news, two upcoming games for different systems will be running the same specs while pushing for high-end visual fidelity. Since both stories individually aren't really big enough to fill out their own individual articles, I figured why not combine them into one? So first up, we have Shin'en Entertainment's Fast Racing Neo. It's the sequel to the WiiWare title Fast: Racing League. The development studio recently released some screenshots of the game and also announced that the game will run at native 720p and 60 frames per second, as noted by Nintendo Everything. A screenshot of the post that Shin'en's Manfred Linzner made can be viewed below. The game is designed to be an extremely fast, extremely twitch-based racing title. Since Nintendo has no plans at the moment to revive F-Zero (a really unfortunate circumstance by the way), it's now been left up to the independent circuit to fill in the gaps and provide gamers with a striking alternative. What's interesting is that that Fast Racing Neo will be running 720p at 60fps on the Wii U and this also takes into consideration the GamePad support. It's a feature oftentimes overlooked, but the system outputting dual-screens and still maintaining 60fps is a pretty amazing feat to be as small as it is with the specs that it has. 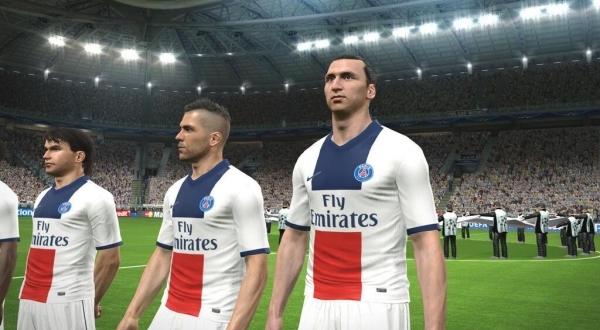 On the competitor's side, it's also been revealed that Pro Evolution Soccer 2015 will also be 720p and 60fps for the PlayStation 3 and the Xbox One. This news comes courtesy of GameLuster, where Konami made it known that PES 2015 would be 1080p at 60fps for the PS4, but only half that resolution for the PS3 and Xbox One. It creates an interesting debate, as many have claimed that racing and sports games have never been all that technically demanding. So the natural question is why is it that the Xbox One is only rendering at half the pixel-rate of the PS4? Some of the typical answers amongst gamers is that Konami's Fox Engine simply isn't designed to run as efficiently on the Xbox One – it's been tuned to the melody of the PS4. Whether or not it's true that the Fox Engine has a hardware preference (which has been the case with both Metal Gear Solid V titles), it is true that the Xbox One has had a resolution problem since last year, with games like Call of Duty: Ghosts, Dead Rising 3 and Battlefield 4 running under par. It seems very strange even noting that when you look at Fast Racing Neo on the Wii U and PES 2015 for the Xbox One, both games look strikingly gorgeous, and yet both are running the same specs on systems that are oftentimes classed as “generations apart”. Fast Racing Neo is due to launch exclusively on the Wii U, and PES 2015 is set to arrive on the Xbox One, Xbox 360, PS3, PS4 and PC starting November 11th in North America and November 13th in Europe. You can learn more about Fast Racing Neo by visiting Shin'en's official website or you can learn more about Pro Evolution Soccers 2015 by visiting the official Konami website.